Purchase any 3 responsive landing page designs for only $99. 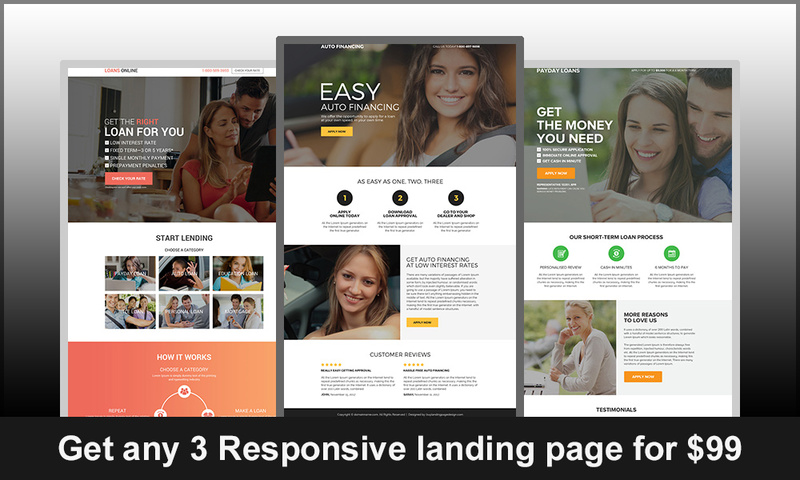 Purchase any 3 responsive landing page design of your choice for only $99. Steps to avail this amazing bulk discount offer:Receive Download link. Select the responsive landing pages you want to purchase. As soon as payment is completed we will email you the download link of the files.